Yunus Emre Institute has kicked off its activities in an office allocated in a university under the protocol signed with Hankuk University of Foreign Studies in the capital city. Özgür Can Yıldız, an official from Yunus Emre Institute's Seoul branch, has paid a visit to Ambassador of the Republic of Turkey to Seoul Ersin Erçin in order to brief him about the Institute's activities. Speaking about the start of the Institute's activities in Seoul, Ambassador Erçin expressed his satisfaction for institutional promotion of Turkey and Turkey's cultural values in South Korea, which regards Turkey a sister country. 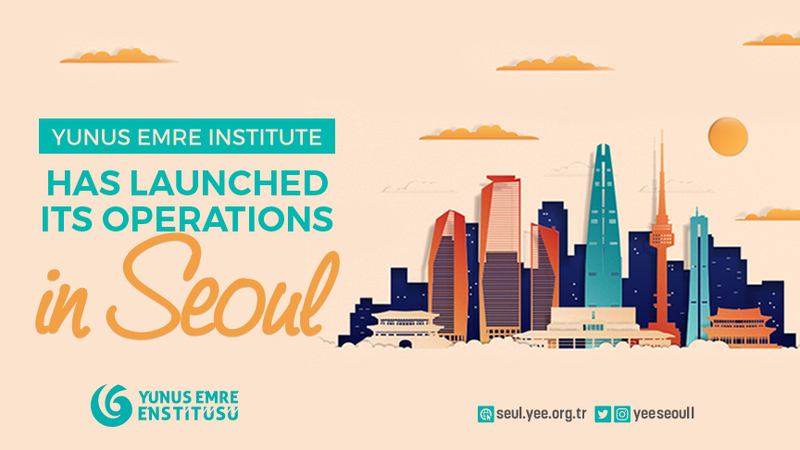 Erçin noted that Yunus Emre Institute's Seoul branch would serve two purposes in South Korea. "First, it will raise awareness about our country for the proper promotion of the Turkish language and culture and foster tourism to Turkey. Second, it will contain and gradually eliminate the activities of the FETÖ-affiliated organization that have infiltrated into the sphere of cultural promotion in South Korea", he said. Yunus Emre Institute is undertaking more than 1,200 activities around the globe with a view to increasing the number of people who are connected to, or show interest in, Turkey and it will start to give Turkish language courses and undertaken various cultural and artistic activities in South Korea in March. Expansion of the science diplomacy activities is also planned within the framework of the Academic and Scientific Cooperation Project of Turkey (TABİB), which has been launched under the auspices of the Presidency of the Turkish Republic. Yunus Emre Institute has launched its operations in Seoul after an agreement was signed during the visit President of the Republic of Turkey Recep Tayyip Erdoğan paid to South Korea in May 2018, and it is acting as the counterpart of the Korean Cultural Center that has been operating in Turkey since October 13, 2011.